As part of my campaign to promote pollinator friendly gardening, in my hometown Neilston, I got chatting with a lot of people. The reception I received was greater than I could ever have hoped for, with so many schools and nurseries already running projects to help raise awareness of the decline in bees. What amazed me the most, though, was the sheer number of people who had taken an interest in beekeeping. Many had already become certified beekeepers with their first hive. Hearing local people so passionate about the life of an insect made me so proud of my community. It’s not just my community that has taken its hand to apiculture (beekeeping). Beekeeping has been on the rise for the past decade, particularly in the cities. Most people become beekeepers as a hobby, interested in reconnecting with nature within an urban environment. Recently, there has been a rise in people raising bees out of concern for the environment, as I found in my home town. The issue, though, is that there are very few studies out there regarding the positive or negative impacts these introduced honeybee colonies can have on the environment. One study has found that the introduction of honeybees has negatively impacted the survival rates of b umblebees, whilst another showed that honeybees had no significant effect on local flora or fauna. It’s difficult to assess the truth amidst conflicting reports – but there have been concerns raised that need definitive answers. Wildflower populations have been shown to increase due to honeybees increasing pollination of the plants, however, pollination is not as simple as a single bee going from one flower to the other. Each species is better suited for the pollination of certain plants and are inefficient pollinators of others. When honeybees are the primary source of pollination in an environment, the plants that they prefer or are capable of pollinating are fertilised more often. This can result in alterations to floral diversity, which in turn may lead to a decline in the preferential food plant of other bee species. Honeybees have also been shown to they can deplete a plant’s nectar source without providing any pollination. The competition for nectar in these plants has resulted in changes to the behaviour of fellow pollinators. 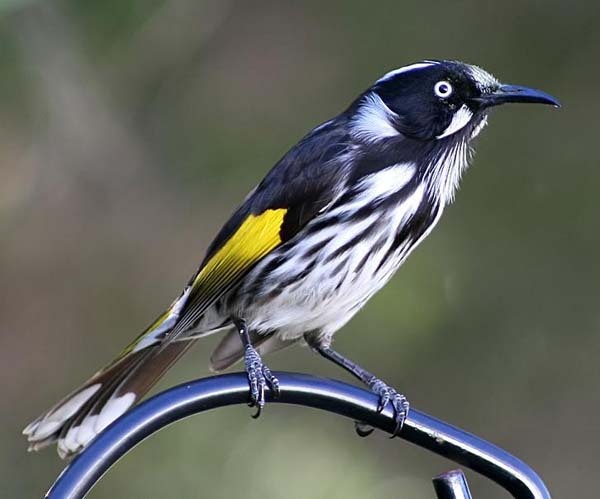 In Australia, the honeybees out-compete the New Holland Honeyeater, resulting in the birds increasing their territories. This could result in them running out of resources, and ultimately, a decline in their population – though no significant declines have been documented so far. A recent study has emerged trying to measure the impact apiaries can have, but their result was highly variable and merely highlighted the need for further research on the impacts honeybees have on wild bee populations and other native fauna. It’s surprising that no study has focused on the impact apiaries can have on other insect pollinators such as hoverflies. I find this topic particularly concerning, in part to the lack of research, but mostly due to the skewed opinion of the well-meaning public. Apiculture is an excellent hobby to get into, with many benefits for yourself and particularly for agricultural crops. It is irresponsible, however, to take up apiculture to benefit the bees, especially when there is so little evidence available. That’s why more research needs to be done into this topic so that we can have a clearer picture of the true impact beekeeping can have and so those who only wish to help aren’t mislead into doing the exact opposite. This entry was posted in 2018-19 blog articles, Uncategorized and tagged apiculture, australia, beekeeping, bees, bumblebee, decline, honeybee, neilston, pollination, pollinators by sambeetee. Bookmark the permalink.